What is the Environment? What is the difference between Geology and Geography? From a socio-economic perspective, what is the difference between mining for gold and building a dam? If you choose to pursue a university degree in Geography what kinds of jobs will you be eligible for upon graduation? 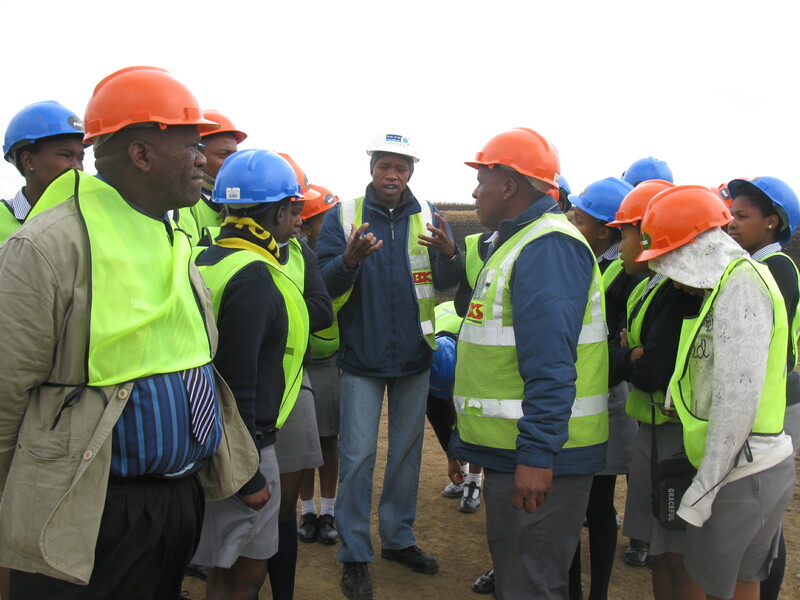 These were just a few of the many questions discussed with Shea O’Connor Combined School geography students and teacher Mr Steven Mthethwa who recently toured the Spring Grove Dam in Rosetta. 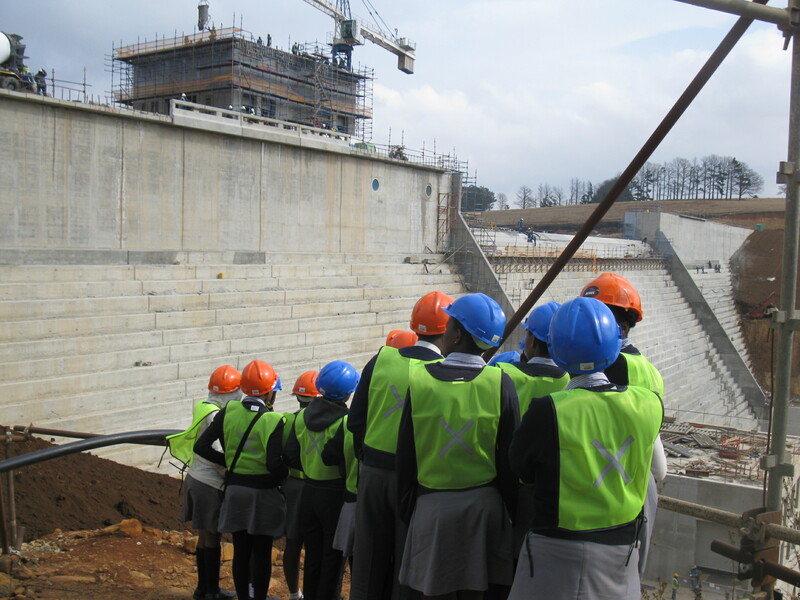 The tour gave students a unique, behind-the-scenes look at the dam, its construction, the impact that it has had on the surrounding social and biophysical environments, and the people employed to build it. The day began with a Site Induction – a reminder to all visitors of the do’s and don’ts of visiting a construction site. These procedures include wearing a hardhat, suitable footwear and a reflective vest (Personal Protective Equipment) while being aware at all times of moving vehicles and machinery. As safety is first and foremost, talking on cell phones while on a construction site is not allowed! 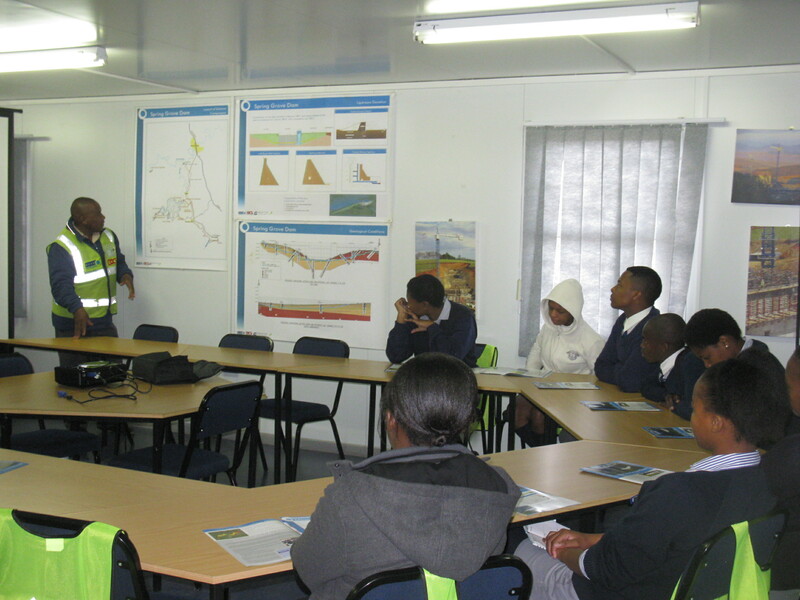 Upon arrival at the TCTA Visitor Information Centre, students were greeted by Mr Lucky Sanust, Spring Grove Dam Information Officer. 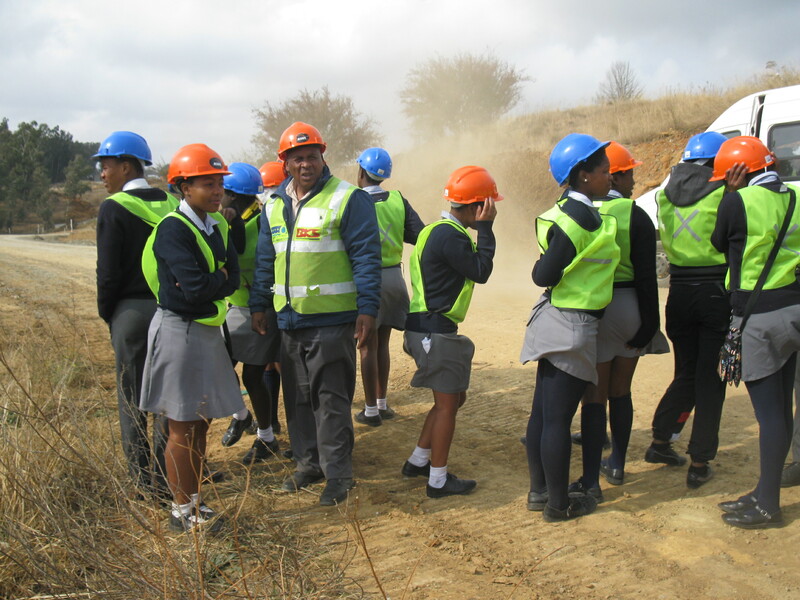 Mr Sanust told the students about the various ways the construction of the dam impacts surrounding landowners and how these impacts – the generation of fine particulate dust and noise, siltation of water and the removal and relocation of 45 graves – are being monitored and mitigated. For example, dust generated from truck traffic on the D146 that can have a negative impact on human health is mitigated by trucks spraying this gravelled road with water during daylight hours. Next, Katie Fenenga, AECOM Social Monitor, and Sandhisha Jay Narain, AECOM Environmental Monitor gave a fascinating and interactive presentation about their personal career experiences since graduating with degrees in Geography and Environmental Management. 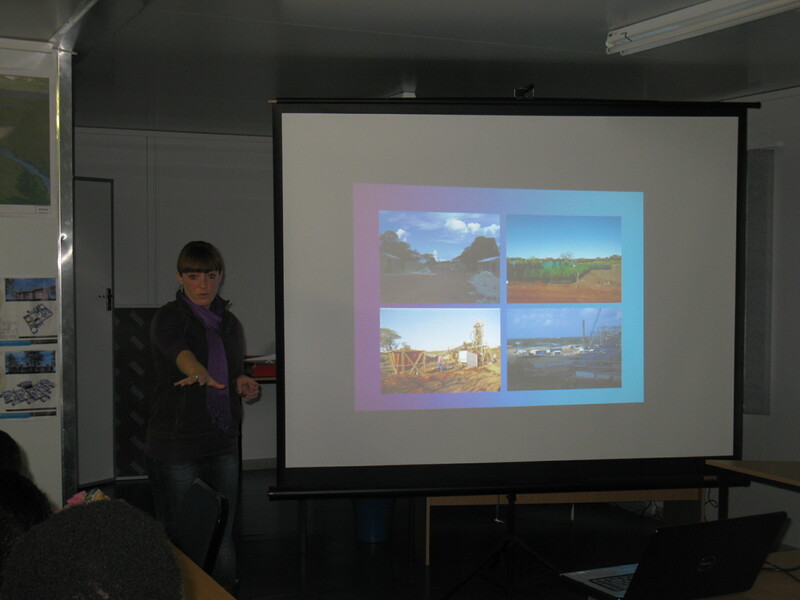 Katie described working and traveling throughout Central and East Africa working on exploration sites for international mining companies. This work included flying into remote villages in the DRC via helicopter to interview community members about their lifestyles and helping establish a tree nursery in Mozambique. 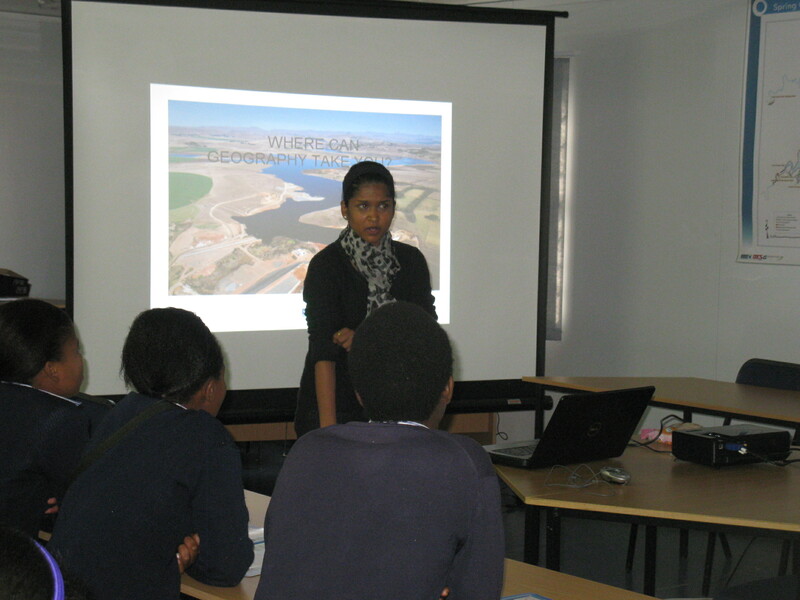 Sandhisha’s career experiences have included working on Transnet’s National Multi Products Pipeline and Durban’s Moses Mabhida Stadium. She shared her exciting experiences as being part of the build-up to the 2010 World Cup. 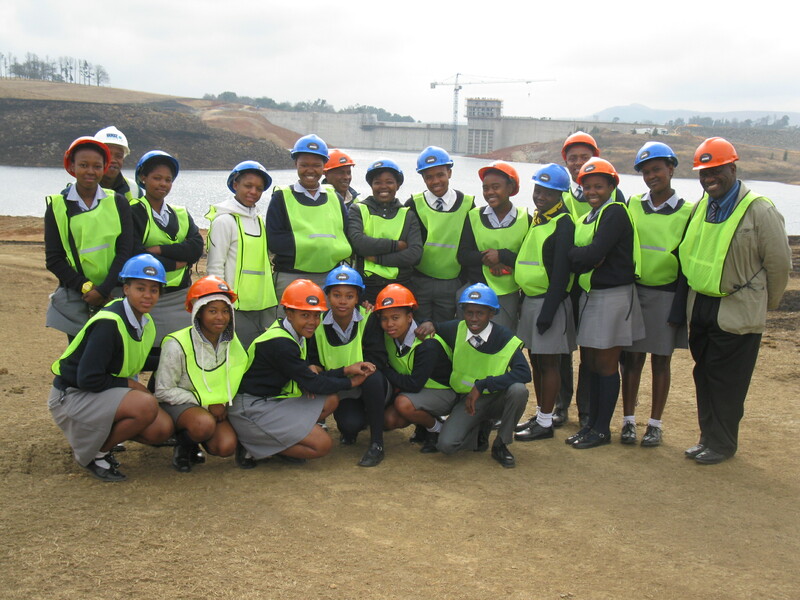 Afterwards the group, accompanied by Tshepiso Molaba, TCTA Environmental Trainee, were taken by bus to view the dam wall at several locations. 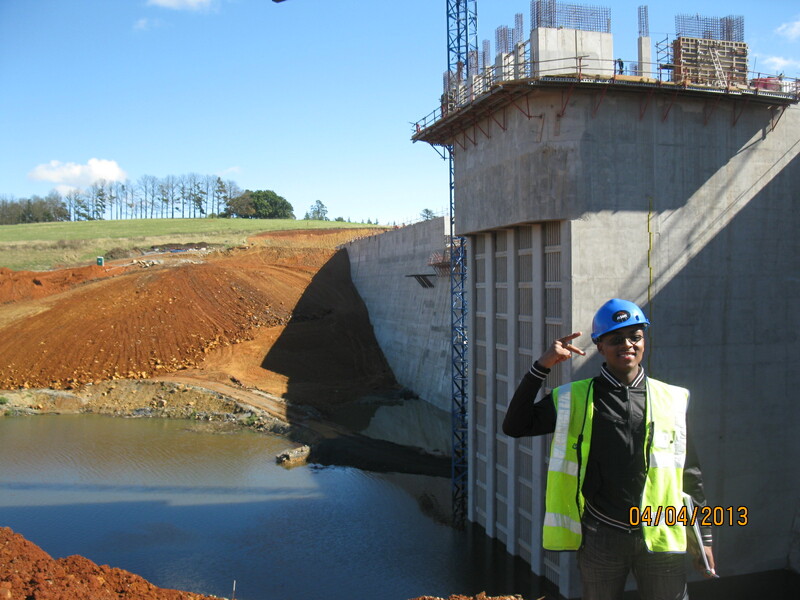 Construction of the dam on the Mooi River began in February 2011 and the basin is currently filling. The dam wall is 607 m long, 37 meters high and is made of composite roller compacted concrete (RCC) with an earth embankment. 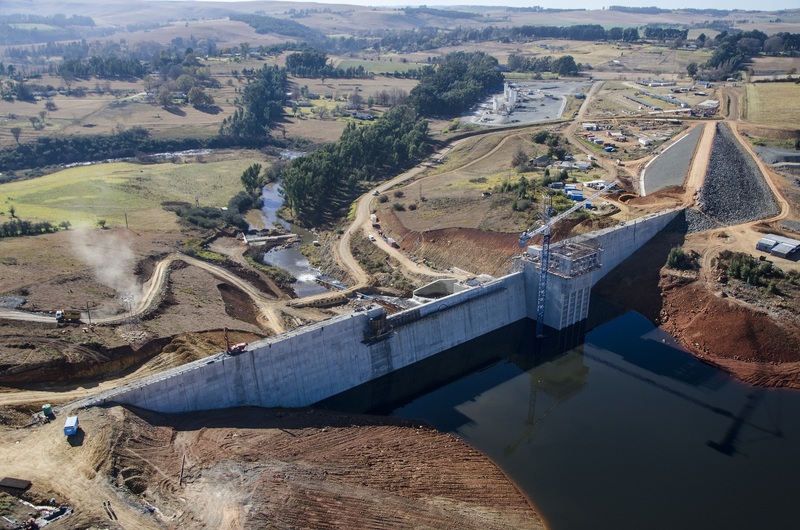 It is smaller than Midmar Dam; its gross storage volume is 140 million cubic liters as compared to Midmar’s 235 million cubic litres. Its surface area at full supply level will be 10.22 km2 as compared to Midmar’s 17.93 km2. A process is currently underway to establish how the water body may be used for recreational purposes, but at the moment the dam is solely for water storage and not for recreation. 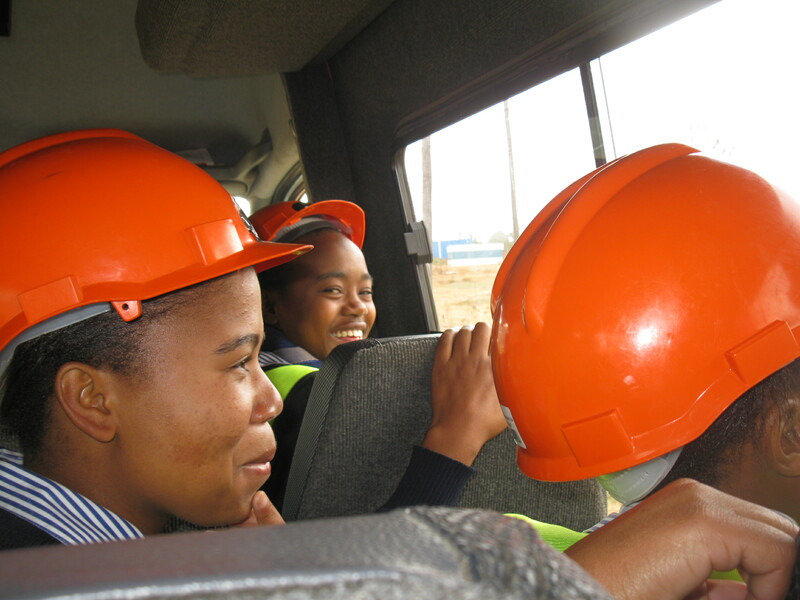 This excursion was organised by Ann Burke of KZN Crane Foundation and the Spring Grove team. Mlhlangeni Conservancy (much of which will be under the dam) used their allocation of the Midlands Conservancies Forum – Environmental Learning and Leadership Programme, funded by N3TC, to assist with costs. This entry was posted in Uncategorized and tagged dams on July 11, 2013 by Midlands Conservancies Forum. Well done and a big thank you to all the organizers of this. I am sure this was a life changing experience for the group. This is such a lovely idea for an excursion. This must have been an inspiring day for them!